One of the greatest features of SharePoint 2010, especially on Office 365, is ‘My Sites’ (sorry, those on Office 365 P plans don’t get these, another reason not to have a P plan in my books). What ‘My Sites’ basically provides is a ‘home’ area in SharePoint for users that they can store information about themselves, their job experience and files in their own SharePoint site. Imagine it a bit like a combination of Linkedin and SkyDrive but a whole lot better. From here you can get to your own SharePoint site via ‘My Content’ and to your Linkedin style information via ‘My Profile’. But hang on, how do I get back to my original SharePoint site without having to the back button in the browser? Bottom line is that there is no default link to take you back, which is frustrating once you have gone a few screen into your ‘My Site’. The reason there is no default link is you can have access to many different SharePoint sites but you only have one ‘My Site’ per user. But your are in luck! There is a way to add a link at the top of the screen back to any URL you want. To do this you’ll need to login to your Office 365 portal as an administrator and then select Manage from under the SharePoint Heading. Then select Manage Site collections from the next menu. Then select User Profiles from the menu on the left. Now on the right, under the My Site Settings section select Configure Personalization Site. 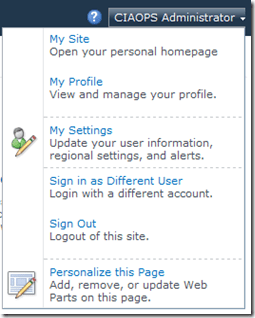 Now select the New Link option and enter in address of the SharePoint site you want to return to as well as an owner. Now when you go to ‘My Site’ you’ll see the link you just created and you use that to navigate back to your SharePoint site. In this case I created a link called Intranet to the right of ‘My Profile’. If you want to create more links just repeat the process. So now that link will appear on everyone’s ‘My Site’ banner making navigation to and from their ‘My Site’ much easier. I have recently completed the beta exams for the two upcoming Office 365 certifications 70-321, Deploying Office 365 and 70-323, Administering Office 365. I won’t know the results for a few months but I’d like to convey some thoughts on these exams in context of those resellers in small to medium business (SMB). 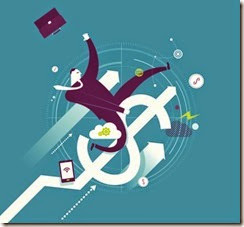 I am very privileged to know many exceptional SMB technology resellers around the world. Not only are they hard working, very customer focused but they are some of the most technically astute and knowledgeable people I have ever met in technology. I have worked with enterprise people who perhaps know more on ONE single product but most SMB technology resellers have to be across so many different products and technologies in contrast to enterprise people who are normally focused on a single technology like Active Directory (AD), SQL, Exchange etc. Most SMB resellers have to be across these products also for multiple customers and configurations, where most enterprise people work only for a single business. After completing both Office 365 exams I was struck by how much Office 365 is like Small Business Server. Why is that? Both product require a breadth of knowledge that most enterprise people would struggle with. To pass the Office 365 exams you are going to HAVE to know Exchange, Lync, SharePoint, AD integration, etc. Likewise, to pass the SBS certification test you need to be across Exchange, SharePoint, Windows Server, Remote connectivity and the like. Sure, Office 365 focuses more on the enterprise features of the products but few enterprise people I know are across such a broad range. However, just about every person I know who does SBS has skills across the entire product range. To me this bodes well for SBS people looking to get into Office 365 and become certified. You already know what it is like to be across so many products, this gives you a leg up in my books. At the moment you’ll need to learn the advanced features of Office 365, as that is part of the curriculum and will certainly be tested in any certification exam. Even if perhaps SBS people will never implement things like Single Sign On (SSO) and ADFS configuration. I think that many SBS people who have the SBS certification will look at this as a great opportunity to learn more about the advanced features of products they have already been using. They’ll certainly have to study, but they’ll really learn something and that will make them better technology people and most likely open up additional opportunities for them. However, just as there is a dedicated SBS certification exam from Microsoft it would nice to have an Office 365 certification exam that is focused on the SMB market. A market that typically doesn’t do AD integration, a market that moves everything to Office 365, a market that is truly looking to adopt the total cloud model. Bah humbug I hear the enterprise people say. Ok you guys and gals may have the greatest number of licenses perhaps but from what I understand 90% of businesses that use Office are small to medium in size. If Microsoft wants to speed adoption of this market then it need to make it easier for people who service that market to get certified. These people, like their customers, are time and cash poor. They believe the best reflection of certification is the fact that they could pass it simply based on their direct experiences with customers. At the moment I don’t believe that is possible and as such that will hinder to move of existing SMB resellers to supporting, adopting and selling Office 365. So in summary, I think the existing exams cover the whole Office 365 products and configuration very well. This means that if you are weak in any area or on a specific product you need to bring that up to strength before attempting the exams. For SMB resellers this means you are going to have to dive into areas of Office 365 that you may never see in the field. It would also be nice for Microsoft to consider an Office 365 certification for the SMB market that can pretty much be passed provided you have enough experience setting it up and supporting it for SMB customers (i.e. those < 100 seats). As I have always foreseen, the 10GB database limit for SharePoint Foundation 2010 is becoming more and more of an issue as installations start to grow. I really see this more and more, especially when it comes to SBS 2011 Standard which includes SharePoint Foundation 2010 which many people simply know as Companyweb. All forms of SharePoint require some form of database storage to store their content. SharePoint uses Microsoft SQL Server for this storage. There are however many different versions of Microsoft SQL Server all with different capabilities and limitations. In the days of Windows SharePoint Services v3 (WSS v3) the SharePoint content was saved into SQL Server 2005 Express Edition (SSEE). This version was not only free but supported unlimited database sizes. The downsides where that it wasn’t upgradable and it was a 32 bit database. When SharePoint Foundation 2010 came along it had the requirement of 64 bit databases. That immediately ruled out SSEE. The initial choice was SQL Server 2008 Express. This version is 64 bit and is free but has a 4GB database limit. If you download and install SharePoint Foundation 2010 as a stand alone package and accept the default installation you’ll also get SQL Express 2008 and thus a 4GB database limit. As you can appreciate, a 4GB database limit is pretty restrictive so when SBS 2011 became available it shipped with SQL Express 2008 R2 for SharePoint storage which upped the database limit to 10GB. Problem is now that is still not enough. So what happens if you have SBS 2011 and you are approaching the 10GB limit? What are your options? Here are some suggestions. They all come with compromises so beware. 1. 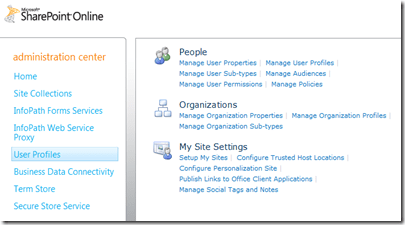 Create a new SharePoint site and site collection move some of the data here. Doing this will give you new 10GB database into which you can store information. Given that companyweb is a web site you can link to another SharePoint site fairly seamlessly. The down side is that things like the search database are still limited to 10GB and if your data keep growing you are going to hit the 10GB limit again at some point. Also, it can be a little more confusing for users. 2. Do an in place upgrade of SQL 2008 Express R2 to a version that doesn’t have database restrictions. This can be achieved via the SBS Premium add on however don’t forget that there are other applications that use SQL on SBS including monitoring and reporting. This in place upgrade option also places more strain on the single box and is generally not recommended as best practice. 4. You can implement Binary Large Object (BLOB) storage. This basically allows the storage of file data outside the SQL database into the file system. Although this gets around the 10GB database limit (as files are generally your largest storage item) there are trade offs which I have detail in previous blog posts. Personally, I don’t think it is a good move, especially in an SBS environment for the simple reason is the added complexity amongst other things but it can be done. My advice if you are thinking about moving that way read my previous post. 5. Move Companyweb to Office 365. Here you’ll get access to SharePoint Enterprise Server 2010, you’ll get 10GB database limits as a starting point, you won’t have to worry about upgrades and you’ll get Office Web Apps to boot which you won’t get with Companyweb on SBS. You’ll obviously have to pay for suitable Office 365 licenses, migrate the data and help users understand what differences Office 365 provides. So you do have options but they all come with a cost. Personally, if your users are really getting into SharePoint then I’d be looking at Office 365 simply because of the added functionality and reduced hassle. Failing that, there is always the option of pruning your data, removing old files and versions but sooner or later, chances are you’ll hit the 10GB limit again. This book is a very worthwhile read and reference but it does have a limited audience. That audience is restricted to those with access to the high end version of SharePoint Server 2010. Basically SharePoint Server 2010 will all the options enabled. It is however a very worthwhile reference for the simple reason that there are few books that dive into that level of detail on these high end features of SharePoint Enterprise. Initially I was going to say that this book focused more on talking about the capabilities of BI (business intelligence) in SharePoint Server but as I got more into the book I found there were more and more hands on examples which made it really great. The only problems with these examples is that they require a high level of product and setup to really take advantage of but they certainly do give insight into what BI is possible with SharePoint especially when combined with SQL server. This book is therefore great for people looking to understand the high end features of SharePoint Server 2010 (and to some extend Office 365) but it does require an investment in products such as Visio, SQL Reporting and so on that in many cases are not readily obtained or implemented. This is certainly not a book for end users and is more aimed at the IT Professional looking to bring the integration required for BI into the workplace. However, for the IT professional looking to scale up their SharePoint skills to the higher level of product and potentially to the abilities provided by Office 365 this is more than a worthwhile reference for the library. 2. Microsoft is not in game of bashing the competition. It acknowledges that other brands and models are good as well. This shows me they are truly confident about their product, which they need to be to compete. As I said in a previous post, don’t write Windows Phone off just yet. <img src="http://lh5.ggpht.com/-OPkTYq00MQA/UOo0pvFEpuI/AAAAAAAAG0Q/omyI8qXszPY/video7025a2cb6354%25255B6%25255D.jpg?imgmax=800" style="border-style: none" galleryimg="no" onload="var downlevelDiv = document.getElementById('a1b193fb-1ce3-4180-9367-423646610e20'); downlevelDiv.innerHTML = "
<img src="http://lh6.ggpht.com/-1PeNL3qyaUY/UOo0qoztHvI/AAAAAAAAG0U/JCN-H2yjQQI/video828eb7d25191%25255B6%25255D.jpg?imgmax=800" style="border-style: none" galleryimg="no" onload="var downlevelDiv = document.getElementById('e3a2ae33-96c4-42f0-84d7-3f0ed47527fb'); downlevelDiv.innerHTML = "
<img src="http://lh6.ggpht.com/-ctoj-R6L-IQ/UOo0OTyepkI/AAAAAAAAGzA/O0AeWv9NCJw/video7098a6ae01c9%25255B4%25255D.jpg?imgmax=800" style="border-style: none" galleryimg="no" onload="var downlevelDiv = document.getElementById('bda8f69a-644e-45c1-a4d8-3d30fc24c2b0'); downlevelDiv.innerHTML = "
These phones look pretty nice and are available now I believe in the US. I hope they won’t be long for our shores here in Australia as I reckon they will make a big impact. Sure, Windows Phone still has a mountain to climb to catch up BUT as far as I can see it is moving the right direction and there indications from others in the market that they face major challenges as well. So I wouldn’t write off Windows Phone just yet. How many times have I heard that in response to a downturn in income? The problem is that it is generally only going to make things worse because if a business isn’t already marketing then it can’t simply solve its short term cash flows issue but suddenly doing ‘marketing’. You know what else? Marketing is not making sales, thus marketing alone isn’t going to magically restore the bottom line. In most cases it is going to make a business spend additional money and devote time away from the core parts of their business in the vane hope it will result in more income. Marketing is something a business should be doing all the time. If you haven’t started then you should immediately and keep doing it no matter what your cash flow situation. Problem is that when many businesses think marketing is only about doing letterbox flyers and sending out ‘buy now’ emails and guess what? The chances of that working are very slim. Don’t believe me? How much junk email and postal mail do you read? Chances are not a lot, so why do the same thing? You could argue that it must work because others are doing to which I’d contend there is HUGE difference between ‘must’ and ‘does’. If you don’t know about something do the research don’t just follow the crowd. Good business is based on fact not here say. If you want to have effective marketing you firstly need to determine what you are going to offer. That is going to be determined by the customer not by the business. You should be asking, ‘what does my customer need that I can provide?”. If you don’t know then you should do your research up front to find out. At the end of the day you only make money if someone buys what you have to offer. It maybe the best product in the world but if nobody buys it then it no help to your business now is it? Remember the value is in the eye of the customer only! Now that you have something to offer you also need to ask yourself if someone else is already providing it. If they are how is your offering different? If it isn’t then the only way you’ll compete is on price and that is simply a race to the bottom. You need a USP (a unique selling position). What makes what you offer different or more appealing than everyone else. Focus on that one thing rather than everything else that everyone else does as well. Studies show that you have to show something to people 6-7 times before it begins to stick. Most businesses that ‘resort’ to marketing to lift their cash flow, try something once, typically fail and then wonder why. This is why it is so important that marketing is an ongoing process and process that occurs through a variety of mediums. But most importantly of all, any marketing that is done needs to have its results MEASURED. How else do you know what works if you don’t measure it? Why do most small businesses think marketing is a waste of time? Because they don’t see immediate results to their bottom line. That is their only measurement criteria, we did this letterbox drop, did we make more money? No. Therefore marketing is a waste of time. Q.E.D. The first step in any marketing is to work out what your customer needs that you can potentially supply. Next step is to work out if anyone else can offer the same product. Third, requires tailoring the offering to be as unique as possible. Next you need to keep at it and measure the results and continue to fine tune the offering. Unfortunately, that is not a quick fix and it requires continued work. However, if you can get the process refined and automated then it can become a very effective tool. Unfortunately, unless you have done the ground work any ‘marketing’ effort is going to be wasted and this is what I unfortunately see as being the case too often.